Happy Friday! We made it! So because I was sick all week, I am laying low tonight. Tonight will consist of dinner in and watching the Olympic ceremony! 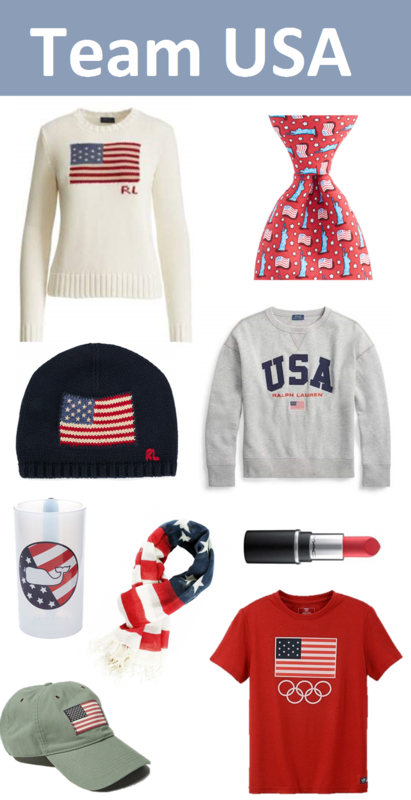 I am super pumped, and here are some cuter choices to wear to support your team. (I still have my team USA hat from 2004).